Do you like String Theory 2? Share it with your friends. String Theory 2 is a very catchy perception game with logical features and a total of twenty different levels of difficulty that perfectly verifies your perception and patience. In each round, your task will be to get a light blue triangle into the portal. 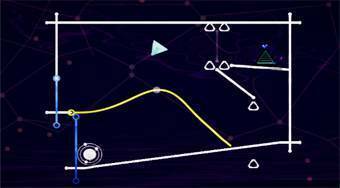 Move and move objects on the board so that the triangle gets close to the portal, which then absorbs it and moves to the next level.